You may not know that we have had a Facebook page for a while. The text and picture look more or less like the above. We would be delighted if you would visit the page occasionally and post any comments you might have. You will find all manner of interesting Brightwood news, local information, photos and possibly some videos. Check it out. On Saturday, May 27, 2017 at the Ryan residence, we had our traditional potluck luncheon followed by our Annual Meeting. The food, as usual, was delicious and the atmosphere was convivial. Thanks to all who brought such excellent dishes as enchilada bake, refreshing salads, quinoa tabouleh, vegetable tarts and roast chicken. Everyone enjoyed the repast and the lively conversation. We started our meeting with the counting of votes for the election of directors. Many members sent in their absentee ballots and those present at the meeting voted on the spot. Charles Caine and Lee Ryan were unanimously re-elected as directors for the next two years. The minutes of the 2016 Annual Meeting were approved. Then we had the customary reading of the Brightwood Vision and Mission statements to remind us why we are here. Lee Ryan, the current secretary/treasurer, gave a brief financial report indicating that the community is in good shape and has a healthy reserve. Our guest speaker was real estate broker Margo Lenmark. She spoke about how we can make Brightwood more interesting for buyers. She said that there is currently a great interest in smaller, less expensive homes and thus our community would attract more people–especially young people–if we would lower our minimum square footage requirement to 1200 instead of the present 1800. A lively discussion ensued. The board will consider the smaller square footage idea. After Margo spoke, the meeting was adjourned. 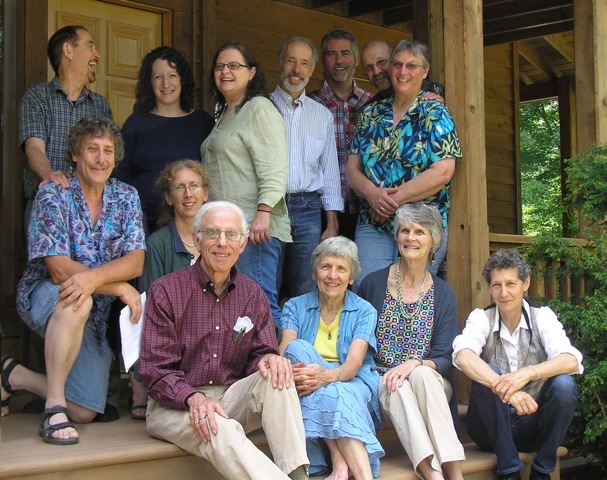 We held the 11th Annual Meeting of the Brightwood POA on Saturday, June 7. The agenda was a full one, starting with a fantastic lunch and ending with a group picture, showing that a good time was had by all. Our time together gave us a chance to welcome two new Brightwood families – the Dugger-Hoffmans and the Bowermans. During the business session we heard a financial report, updates on improvements and plans for community roads and amenities, and the like. The annual budget report showed us in relatively good shape, although we had to dip into our reserve to some extent to help cover unusual road cleanup costs after the huge 100-year rainstorm last July. While ongoing road maintenance is always our largest annual expense, conscientious upkeep on the 4.4 miles of roads in our 650 acres over the years is paying off. They are mainly in good condition despite the record rainfall that affected all of this area last summer. Recent road maintenance included work on some of the lesser-used side roads that have not had as much attention in recent years. Another topic included how best to manage the community garden with the departure of garden stewards, Carol and Gary Hancock. Some suggestions for a change in approach will be discussed more at future Board Meetings. However, since the Annual Meeting, we have held two well-attended community garden parties to work on and clean up the garden and park areas. We all had a good time being together! We also discussed possible ways to market Brightwood in order to get others to come and build here. For example, we want to be able to help those who want to sell their land by promoting it with realtors in the area, developing a brochure and using other approaches. After the business session, we watched a narrated, online PowerPoint presentation on private property forest management, which served as a basis for a follow up group discussion. It gave us food for thought about the stages of forest growth, planning and maintenance of healthy forests, and valuable information on fire protection. A special thanks goes out to those who could not attend the meeting, but whose proxy votes went toward electing four members to the Brightwood Board. The new Board is: Charlie Bargerstock (President), Frank Hood (VP), Lee Ryan (Secretary/Treasurer), Joe Weaver and Lynne Marshall (Directors). As volunteers we take pride in how we plan for and manage Brightwood. Thank you for your trust in us. In that capacity we are grateful that the regular payment of annual dues by our members has enabled us to maintain the quality and values of the community as a whole and thus of our individual properties. 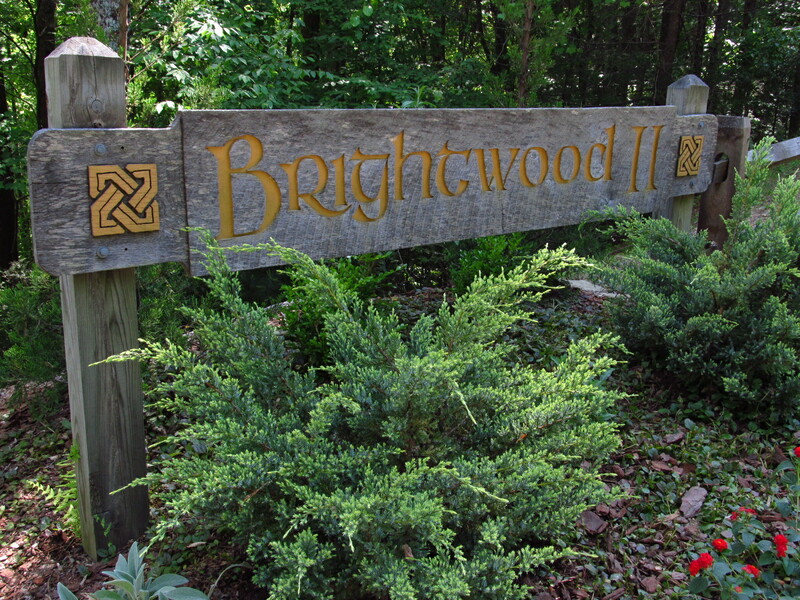 We hope you will come visit us soon to see what a special place Brightwood has become. We have made considerable progress with our 5-year plan. (Click here for plan statements.) In the past several years, we have made improvements to the garden/pond area, installed attractive road signs, kept the website more up-to-date, entered into a reciprocity agreement with our neighbors (Powder Horn and Blue Ridge Mountain Club) about sharing trails, have continued our membership in the Boone Chamber of Commerce and have been sending out a seasonal email newsletter. In keeping with our 5-year plan, we restructured the 7-acre common area with the pond, garden, orchard and picnic grounds. This common area now has a name: Brightwood Park. The main features: a sturdy wooden bridge over the creek so we can access our workshop and an excellent rebuilding of the pond by contractor Charlie Townsend. The pond has a rock lining around the edges, a nice walkway all around it and a pleasing rock waterfall at one end. It is a joy to take a stroll around the pond or sit on the bench and watch the waterfall. We have recently planted flowers and bushes around the pond. To protect our fruit trees and bushes from the predations of our deer population, we extended our garden fence to include part of the orchard area.